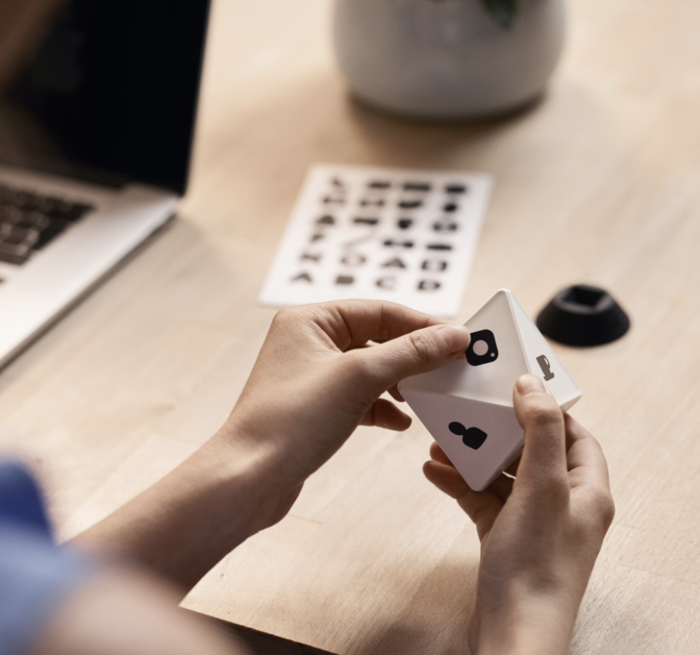 ZEI° is an 8-sided device that connects via Bluetooth to your computer or phone. Through our software, you can assign up to 8 projects or tasks to the different sides of the device. Just place ZEI° so that the corresponding project is facing up and the software will automatically start tracking the time. If you change tasks, simply flip the device to the respective side. The software automatically fills in your timesheet in real-time and will provide customizable, exportable reports. You can customize the device by writing, sticking or drawing something on it. ZEIº is built to integrate into current time tracking solutions and can act as an add-on, or you can use it as a stand-alone solution.